Distinctive! 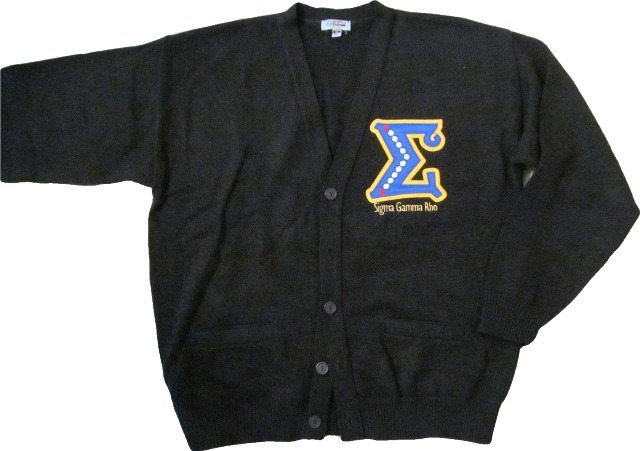 You are sure to be a stand-out in this single letter cardigan crested with your sorority's jewels (they are embroidered on, of course)! Choose from a black or white cardigan. These are unisex sized, so they run about a size large for most ladies.